Could one of these villagers be the one "who done it?" 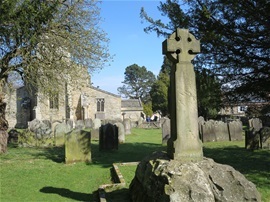 A skeleton is unearthed in the church back garden in the small English village of Aidan Kirkwood. How did it get there? Berdie Elliott digs into the truth. Up from the Grave is a jolly good romp. If British mysteries are your cup of tea, the teapot's brimming in Up from the Grave. 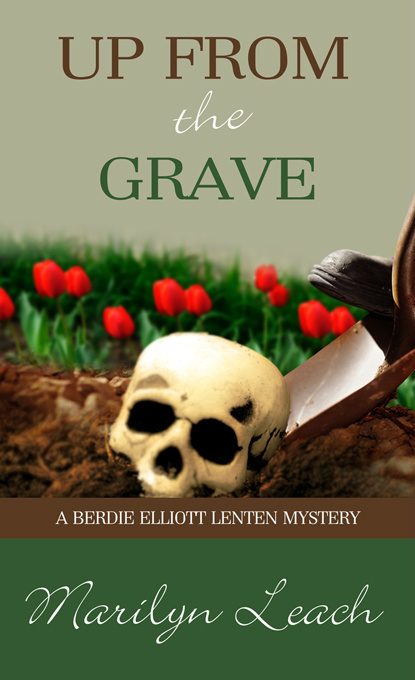 Berdie Elliott, the intrepid vicar's wife, digs into the mystery concerning the remains found in a shallow grave in the church's back garden. The village buzzes with questions. Who is this person? How did they get there? And the primary concern, who put them there? It becomes even more adventurous when an unknown contessa visits the site. And how does Swithy Hall come into play? The Upland Arms, the local, is alive with gossip. Fingers point, tongues wag, but Berdie gets to the bottom of the truth. 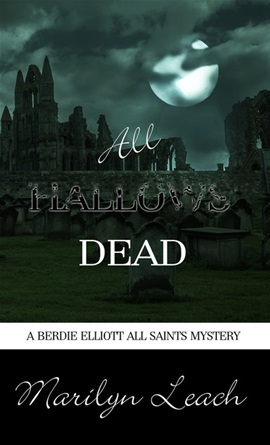 ALL HALLOWS DEAD ebook released on November 1. How does a sixteenth-century saint solve a twenty-first century crime? Join Berdie Elliott in her search for truth amidst the ruins of Criswell Abbey where the secrets of the past dwell. 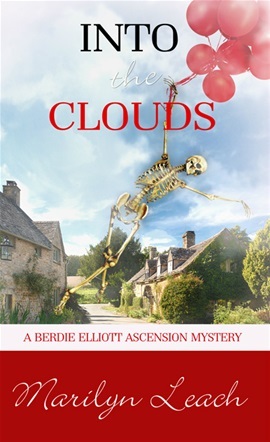 A North England visit turns mystifying when Berdie Elliott, sleuth extraordinaire, becomes involved in beguiling circumstances that spell murder. 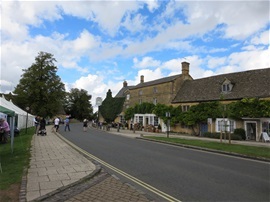 From a landed family to the local pub, a centuries old legend of a departed churchman permeates a small village. What Berdie uncovers will turn residents, along with the legend, upside-down. Ascension celebration balloons are not the only thing vanishing into mid-air in the small English village of Aidan Kirkwood. Someone's gone missing! You'll enjoy reading this whodunit, the third in the Berdie Elliott mystery series. Following an Ascension Sunday procession, it's discovered someone has disappeared: an attractive, well-to-do widow. Berdie doesn't let this mystery out of sight until she has the full truth in clear view. In years past, many churches in England celebrated Ascension Sunday with processions, sometimes from one town to the next, that featured musical instruments, singers, and congregants marching joyfully along. This mystery picks up that tradition as seen in a rural church of modern day England. Though fictional, it's rich with historical precedants. Who would guess that an Advent wreath is the guiding light for solving a mysterious death in a small English village? When Berdie Elliott, the local vicar's wife and former investigative reporter gets the scent, you can count on detection at its very best and not just a few surprises as well. Though her husband often disaprooves, Berdie's divine gift for sorting truth from lies cannot be denied and puts her right in it. Along with her best friend, Lillie, far more than packages are unwrapped when an Advent party at the vicarage goes awry and murder rocks the village. Lively newcomers, secret identities, a clandestine wedding and a dissenting constable add to the adventure. Berdie, to the delight of the entire village, ties up the mystery like a bright Christmas bow. Mince pies anyone? Enigma of Fire is a must-read this summer. Enigma of Fire will set your curiosity ablaze Don't miss out. No divine gifts are going spare in the English village of Aidan Kirkwood when Berdie Elliott fans the flames to demystify the enigma of fire. As the season of Pentecost approaches, Hugh Elliott, Aidan Kirkwood’s village vicar, prepares for the Whitsun Long Weekend Regatta by inviting former military colleagues to compose a rowing team for the boat race. But one amongst them is in a problematic explosion that puts Berdie Elliot, Hugh’s wife and gifted sleuth, right in it. The shock of the blast sends her whirling, and when the Yard arrives, fingers point to a profiled suspect, igniting village fears. Can Berdie recapture investigative brilliance, sift the ashes, and ascertain who’s responsible? Can the enigma of fire be laid bare? 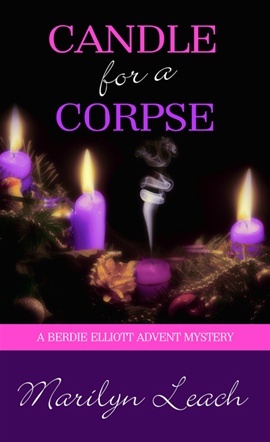 Candle for a Corpse is Pelican Publishing's re-release of Advent of a Mystery with a few bells and whistles. Hello to friends at the signing. for the book signing that benefited the Botanical Gardens. Special cudos to all who purchased books. Have a fun read. 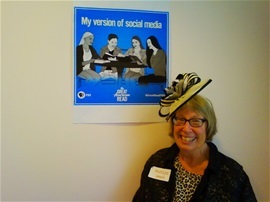 We had fun at the Denver Tea Room Booklover's Tea. 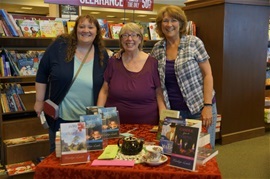 Wonderful food and author-reader exchanges that enriched everyone in attendance. All books are available at Amazon.com, Barnes and Noble, and other brick and morter stores by order. 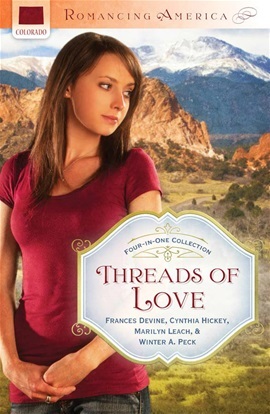 We're so excited to see you at the Denver Tea Room 2nd Annual Booklover's Tea! Dear Marilyn, Our Book Club is attempting to read your bk "Advent Myst". Publisher here in US says out-of-print.Do you have any 4Sale?? We need 15. I loved Candle for a Corpose and can't wait to read Up From the Grave -- am looking forward to your signing at "our" B&N.